Banking on our enriched industry experience, we are able to supply Shatavari Plant. Asparagus racemosus (Satavar, Shatavari, or Shatamull) is a species of asparagus common throughout Sri Lanka, India and the Himalayas. It grows one to two metres tall and prefers to take root in gravelly, rocky soils high up in piedmont plains, at 1, 300–1, 400 metres elevation). It was botanically described in 1799. 100% original Nepali shatawar/ Nepali shatavari plants & seeds are supplied by us since last more than 5 years. 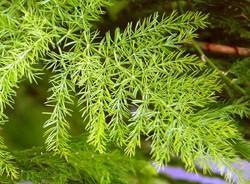 Shatavari, Asparagus racemosus, is a climbing plant which grows in low jungles areas throughout India. As per Ayurvedic texts, this sweet and bitter herb is particularly balancing to Pitta Dosha. In India, Shatavari is considered the womens equivalent to Ashwagandha. Renowned amid one of the credible and eminent business names, we are actively committed in presenting a world class Shatavari Plant. 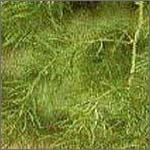 Common name: Common Asparagus Fern, Lace Fern, Climbing Asparagus, or Ferny Asparagus.